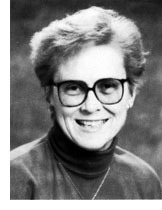 In 1991 the Farmington girls compiled a 24-4 overall record. 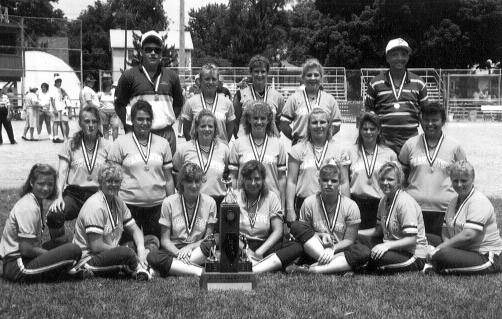 After the 1989 first place and 1990 fourth place finishes in the class A softball tournament, the Farmington girls returned to Pekin IL. to capture their second first place class A championship trophy. On their way to the championship they only gave up two runs. In the quarterfinal game they defeated Williamsville 3-1, and in the semifinals they defeated Carmi (C- White County) 3-0. Then in the championship game they defeated the girls from Braidwood (Reed-Custer) by the score of 7-1 to take the 1st place trophy back to their town of Farmington. The Lady Farmers had several girls named to the all-tournament team: Marni Johnson, Dawn Stanley, Stephanie Mullens, Angie Isbell, and Becki Warner who was named MVP of the tournament. Just a junior with a 23-4 record Becki was named to the Chicago Tribune All-State Team. So for the second time in three years Wierzba and his Lady Farmers defied heavy odds enroute to capturing their second class A state softball title at Pekin.